Venezuelan traditions and cultures are alive and strong. Even amidst the raging financial crisis, events such as Feria de la Chinita celebrate the country’s traditions. Held on November 18 in the city of Maracaibo, the festival’s origins date back to 1709. In addition to parades and pageants, the festival includes local folk music, gaita zuliana, that’s traditional for the Zulia province. In the 1960s, other cities in Venezuela began to have their own festivals on this day. Recently, there have even been celebrations in the international cities of Barcelona, New York, and Amsterdam. The cultural celebrations of Venezuela are one way to stay connected to traditions, as are your links to friends and family in the country. Find out how today’s technology makes it easier than ever to stay connected to Venezuela. With Ooma’s international phone plans, you can make unlimited calls to Venezuela for just $9.99 per month. These low rates are possible because Ooma securely transmits calls over the internet via VoIP technology. Unlike other services, you can call any landline or cell phone number. With the Ooma World Plan, you get unlimited calling to all Venezuelan landlines and any Caracas lines with area code 212. Calls to Venezuela’s mobile numbers cost $0.218 per minute. The contract-free plan costs just $9.99 per month for the first 12 months, and it provides wide global access. In total, the plan gives you unlimited minutes to landlines in over 60 countries and to mobile phones in over 10 countries. The Ooma World Plus plan has an even wider global reach, providing unlimited calls to all numbers in Venezuela including mobile numbers. In total, this plan includes unlimited calling to landlines in over 70 countries and to mobile phones in over 40 countries for only $25.99 per month. Reviewing the list of countries included in Ooma’s international plans can help you decide which plan is best for you. 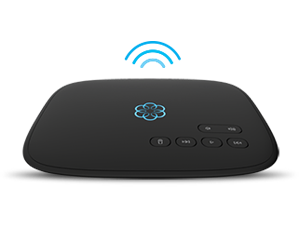 The Ooma Telo hardware is required in order to access Ooma’s affordable international service. Typical retail prices are $99.99. Ooma’s Basic Service includes free U.S. calling; monthly costs only include the required taxes and fees, which are about $4 to $5 per month and vary by location. In one year, many customers save $302 on phone service after switching to Ooma. To access Ooma’s advanced calling features, Premier Service costs just $9.99 per month and includes spam call blocking, instant second line, and voicemail forwarding to email. With Premier Service, unlimited calling includes the U.S., Canada, and Mexico. Ooma’s international calling plans offer a great deal for frequent callers. However, if you’d rather pay-as-you-go for your calls to Venezuela, Ooma also offers low per-minute international rates. For both Basic and Premier customers, calls to Venezuela are just 4.9 cents per minute to both landlines and Caracas numbers with the area code 212. Calls to Venezuela mobile numbers cost 21.8 cents per minute. 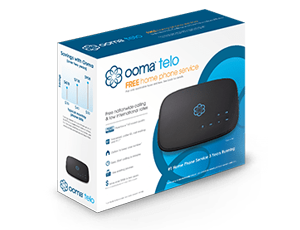 International calls with Ooma can be made with any home phone connected to your Ooma Telo. Additionally, Ooma’s free calling app can help you stay connected when you’re on the go. All Ooma customers can receive calls on their mobile device via Ooma’s mobile app. Ooma Premier customers can also use the app to place outgoing calls. This means that Ooma Premier customers that also have the Ooma World plan can make unlimited calls to Venezuela no matter where they are. The Ooma app is also a great way to stay connected to your phone service while you’re traveling abroad. Therefore, if you’re using the app to make calls while traveling internationally, you’ll have the same rates as when you were home in the U.S.
Keep in mind that Ooma phone service transmits calls over the internet. Connecting to Wi-Fi can help you avoid data changes from your cellular provider. Learn more about how Ooma can help you make affordable international calls to Venezuela.